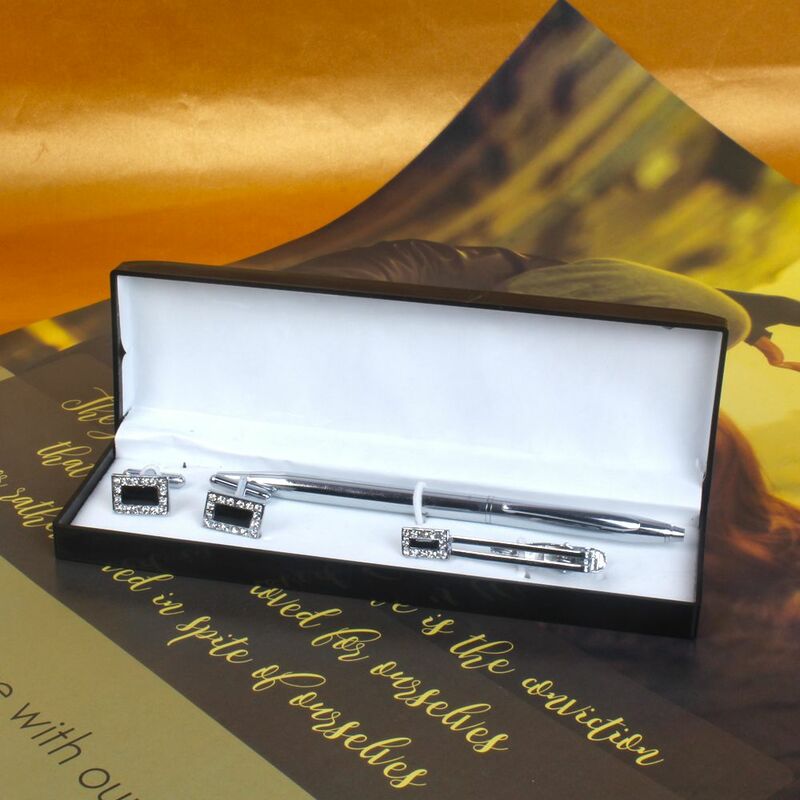 Product Consists : Diamond Studded Black Colour Cufflinks and Tie Pin with Silver Pen in a Gift Box. 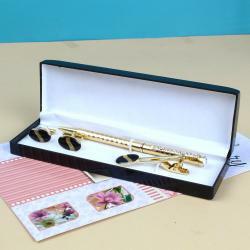 This gift pack is comprising of Pen, Set of cufflinks and Tie pin. Giftacrossindia.com brings to you this very special gift combo which is best for men gifting. 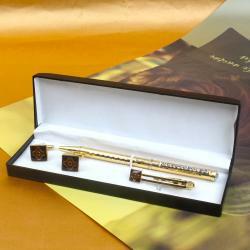 This gift combo is comprised of a box of Pen Set of Cufflink and Tie Pin. Cufflinks and Tie Pin are adorned with black color surrounded with diamond beads of it with silver coated. 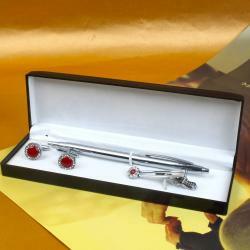 Silver Pen is very attractive pen to gift. Buy this combo for yourself as the tie pin and cufflinks of this combo are best for wearing with both formal and party outfits. So go ahead, place your order now. 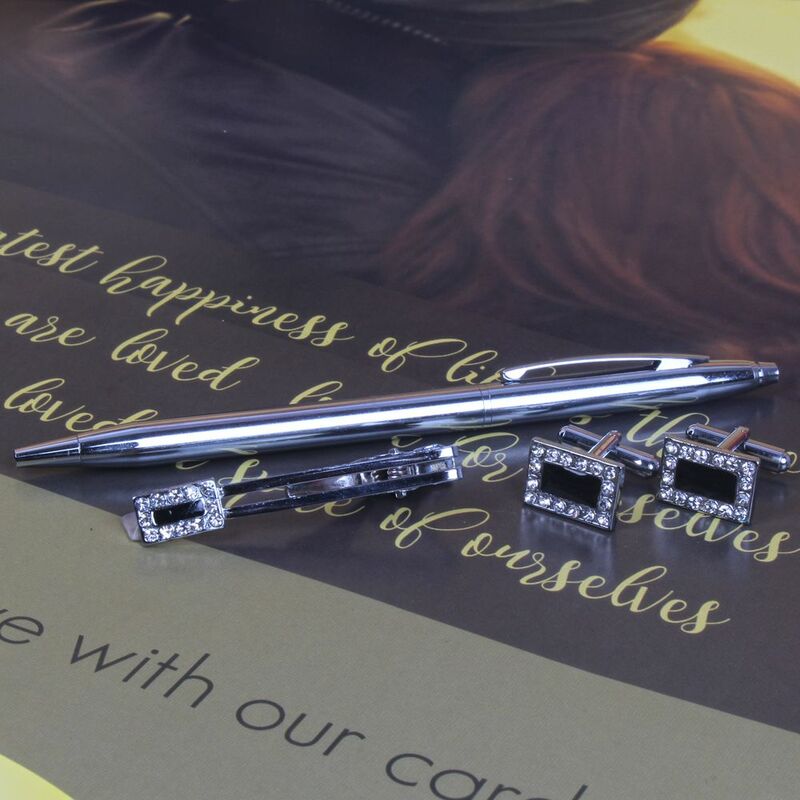 Product Consists : Diamond Studded Black Color Cufflinks and Tie Pin with Silver Pen in a Gift Box.